Arenaria serpyllifolia. PIANTE ERBACEE. pianteerbacee.wikispaces.com (Accessed 9/2017). Arenaria serpyllifolia is a small annual herb, to 20 cm, diffusely branched, wiry, stems slightly hairy, internodes usually longer than leaves. 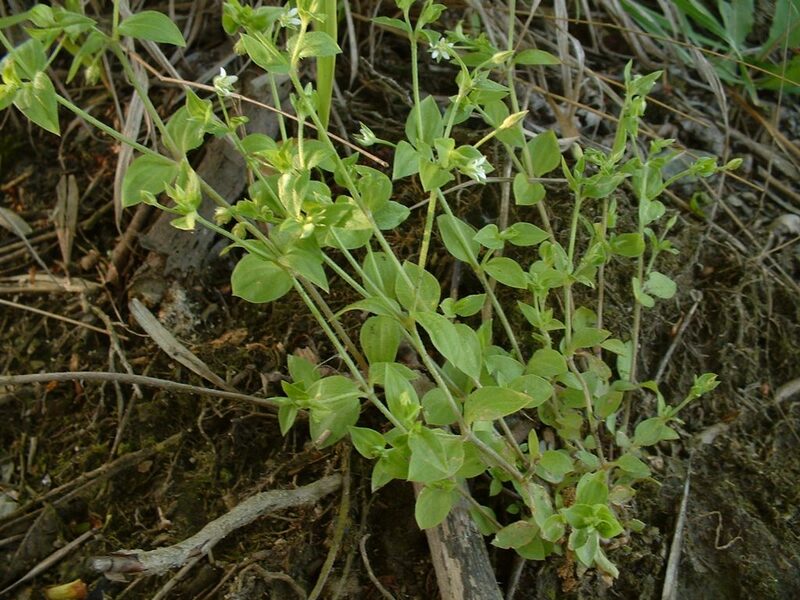 Leaves opposite, egg-shaped, margin hairy, rough textured, to 0.5 cm long, 0.4 cm long, similar to common chickweed but leaves smaller. 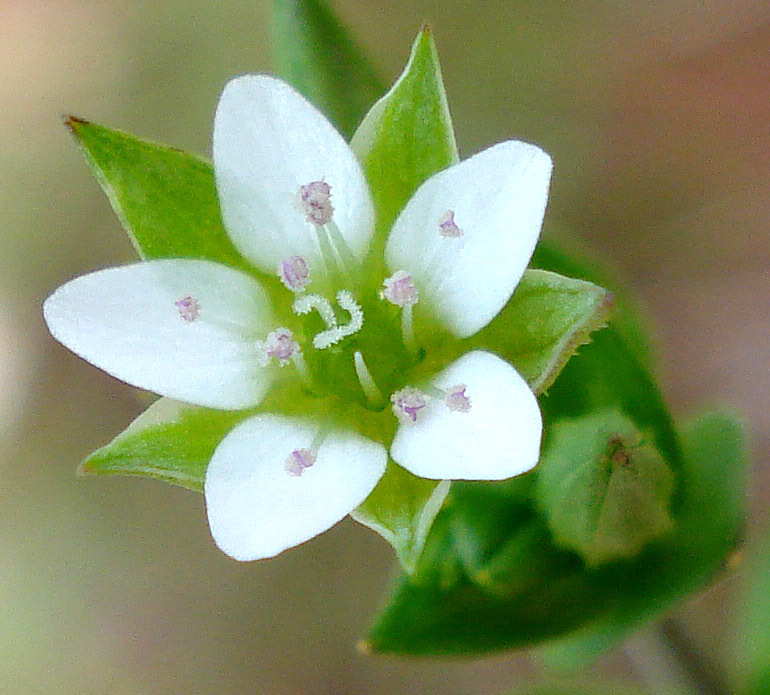 Arenaria serpyllifolia flower. commons.wikimedia.org (Accessed 9/2017). Flowers white, petals 5, entire, usually shorter than sepals; blooms May-Aug.
Fruit dry, hollow, an ovoid, 6-valved capsule, seeds numerous. 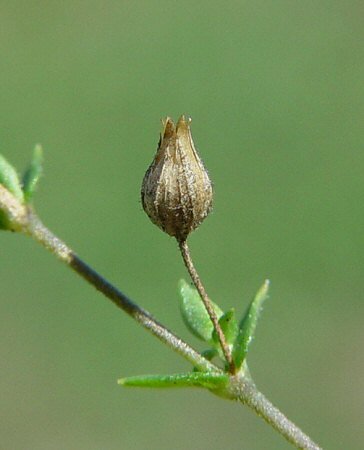 Arenaria serpyllifolia fruit. Dan Tenaglia. missouriplants.com (Accessed 9/2017). Habitat: Open areas, roadsides, sandy soil.